Women's flatform trainers from Ash. 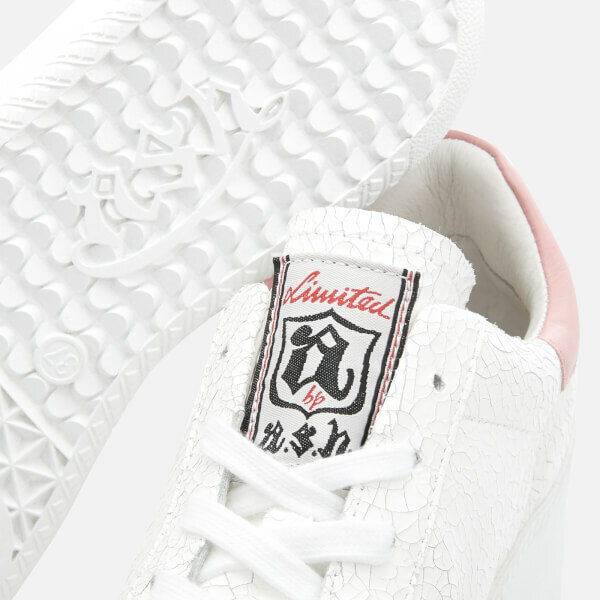 Crafted from cracked effect leather to create a textured upper, the chunky 'Cult' sneakers feature a rounded toe, classic lace-up fastening and padded collar with contrast pink trim. Set upon a chunky double sole. Complete with branding to the tongue and heel.